Described by critics as magnificent and well-illustrated, this 448-paged title published in 2009 by Firefly Books, was republished in 2016 in a 320-paged revised edition. Written by Steve Parker, a scientific fellow at the Zoological Society, this book identifies 500 species of dinosaur from the plant-eating giants to the small, chicken-sized carnivores. This title has more than 200 coloured illustrations, and over 300 maps depicting fossil sites. A captivating read, just like Introduction to the Study of Dinosaurs, this book presents information dramatically and explains the common traits and behaviours of each species of dinosaur. The global distribution, diet, and habitat of dinosaurs, along with the Latin name, pronunciation, and translation of each name are included. The book also includes the height of each dinosaur in comparison to a human, and the length and weight of an adult dinosaur. Revised, this title also lists the many discoveries made since the title’s first publication. For example, in 2015 the ‘Strange Wing’, the earliest known flying dinosaur that wasn’t avian was found. Other bird-like dinosaurs such as the Dakotas, a beaked, clawed and feathered creature described as the chicken from hell, and the ‘Superduck’, a 5-ton giant with a head crest and duck bill, are believed to be the missing links. Another amazing addition to the title is the discovery of the 122-foot Titanosaur that weighed in at 77 tons, which is equivalent to almost 15 elephants. One of the largest dinosaurs ever found, this dinosaur is an herbivore. Additionally, Zhenyuanlong suni, Velociraptor’s cousin, suggests that this entire family of dinosaurs is not drawn accurately. This newly found dinosaur is feathered and about the size of a poodle, rather than the depicted brute of Jurassic Park. 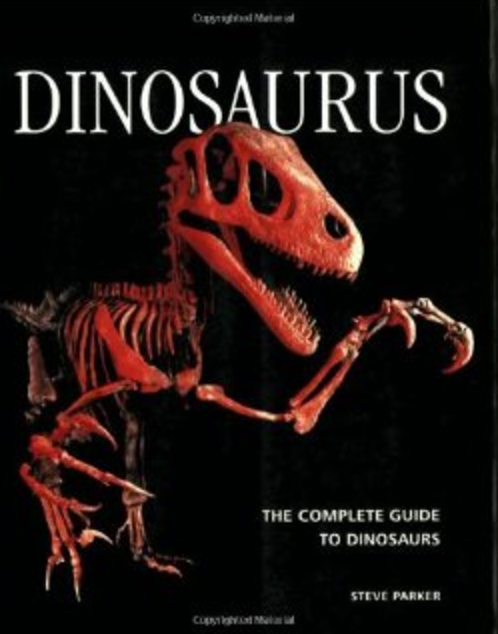 Introduction to the Study of Dinosaurs and Dinosaurs: The Complete Guide to Dinosaurs also challenge some existing dinosaur claims and discredits others. For instance, the Brontosaurus, which many older adults grew up with as children, is proven to have never existed. Furthermore, the Tyrannosaurus Rex was not the largest carnivorous dinosaur. Filled with research from fossil sites in China, Europe, and North America, this book is both a compelling and innovative read. Reviews acclaim that Dinosaurus is comprehensive and filled with information, making it an ideal reference book for children and adults. 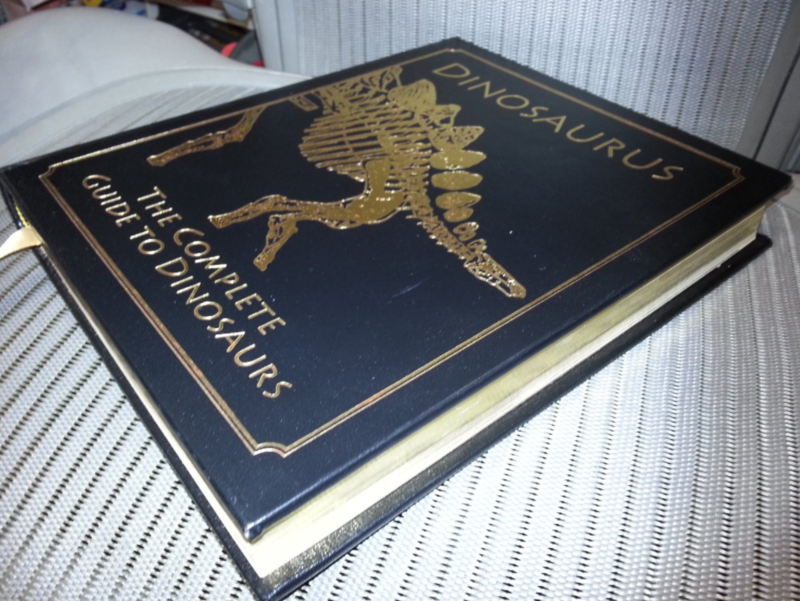 Others state that this is the perfect book for anyone who is serious about dinosaurs. However, some readers feel that the book is flawed because the information is presents is not new; other authors have been there and done that. Although, all readers said the layout and presentation of the title was brilliant. Author Steve Parker has written numerous books on science, animals, and human anatomy, as well as palaeontology. His experience in the field of science is profound. Overall, this is the perfect title for dinosaur lovers and fossil finders who are looking for up-to-date information that they can refer to for years to come. With stunning photographs of the uncovering of dinosaurs, this edition takes readers to where the action is and allows them to become involved.